Dangerous dogs have been running wild in a suburb of Victoria, Australia, as owners abandon them in the face of a crackdown by authorities. So far, four Pit Bulls wandering around Hume have been captured by government dog handlers in the past several days. Authorities think that the animals have offloaded by owners in an effort to avoid prosecution for importing or breeding dangerous animals. In fact, a hotline set up received information on 125 pit bulls and pit bull crosses within the first seven days it was active. It’s a sad fact that some unscrupulous dog owners attempt to get rid of unwanted puppies by throwing them in the river or canal, but one evil minded person couldn’t even wait for their dog’s pups to be born. When an unnamed bull-terrier was pregnant, rather than throw the pups in the river the owners instead threw the pregnant dog into a canal in Wiltshire. The dog was found struggling in Wiltshire’s Kennet and Avon canal, still with two puppies to come out – though showed signs of having giving birth to others already. 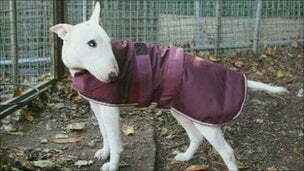 The dog, now named Faith, is now at the Bath Cats and Dogs Home and is ready to find a new owner. Sadly though her two puppies, which were born via caesarean section, died shortly afterwards. Faith was found in the canal by police officers who said she had wounds that didn’t look as though they’d come from attempts to escape the canal. After examination by a vet it was discovered that the dog had recently had puppies, and was still carrying two more, but it is unclear what happened to her other pups. A police spokesman believes the dog may have been bred for dog fights. Meanwhile Faith is awaiting a new owner at Bath Cats and Dogs Home, and staff are eager to hear from anyone who would like to offer her a new life. We at Dream Dogs believe the laws regarded abusing dogs are far too lenient the world over – with custodial sentences very rarely handed out and dog abusers very rarely even being given lifetime bans from owning dogs again. However, one dog abuser in Alabama in the USA has received a sentence worthy of his crime, and his victim (a pitbull nicknamed Louis Vuitton) helped to ensure he stays behind bars. 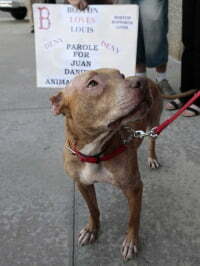 Juan Daniels was convicted of abusing a dog in 2009. He beat the dog, and even set fire to it. For his crimes he was given a custodial sentence, but alarmingly was up for parole last week. Juan Daniels stood before the ‘Alabama Board of Pardons and Paroles’ and could have been released early – had it not been for the star witness, the dog itself. Losing your family dog can be a distressing experience, and Sandra Bullock’s husband Jesse James knows just how that feels as he recently lost his beloved dog CinnaBun. Jesse James owns a motorcycle shop called West Coast Choppers on Long Beach, and the dog, CinnaBun, spends all day with him at the bike shop. Recently Jesse’s dog wandered off, which sent the biker into panic looking for him. Jesse posted flyers up around Long Beach and used Twitter to plead for help in finding his dog. This week the BBC broadcast another documentary on dogs in the UK, but this time it wasn’t the Kennel Club and its attitude towards stud dogs that was under the microscope in the Pedigree Dogs Exposed programme. BBC3 were looking at the problem of dangerous dogs in the UK, or rather the problem of irresponsible owners who were treating their pets as weapons because of some desire to be seen as being tough. The programme, “My Weapon is a Dog”, was hosted by Rickie Haywood-Williams from Kiss FM. He interviewed many owners of aggressive dog breeds such as pit bulls and tried to find out just why they wanted to use their dogs as weapons. 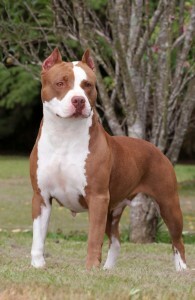 One of things that Rickie uncovered was the synergy between dangerous dogs and US rap stars, as the US doesn’t have any ‘Dangerous Dogs Act’ such as the one seen in the UK, so pit bulls and other dogs are more freely available. US rapper DMX (pictured) is a known fan of the dogs and features them in many of his videos and album covers. 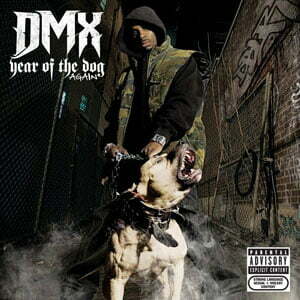 Indeed DMX’s videos are at times bordering on dog fighting videos. You may have heard of extreme sports, such as base jumping (where you leap off the top of a building with a parachute) or bungee jumping. They’re the sort of sports that adrenaline junkies do to get their kicks. They’re dangerous and exciting, and only for adults with a sense of adventure. 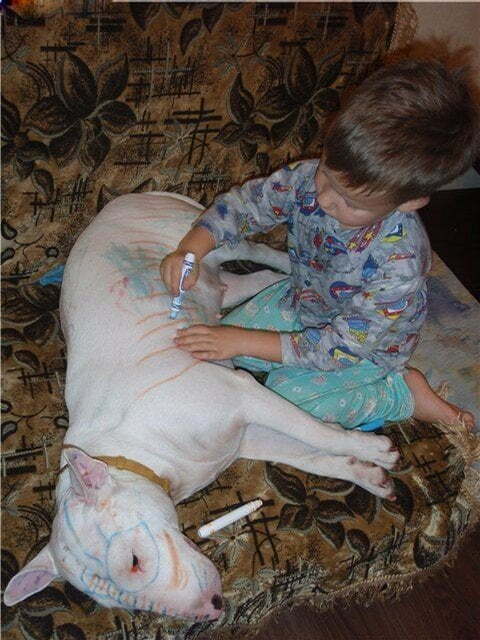 Don’t leave your dog at home, take them to work! Does your dog resent being left at home when you go to work? Do they stare at you longingly as you leave for the day, wishing they could go with you, giving you the old guilt trip? Worry no more, because next month, Wednesday September 17th, is Take Your Dog to Work Day!!! Fifty-seven-year-old Bernann McKinney is ecstatic after South Korean scientists cloned her pet dog ‘Booger’, a pit bull terrier, and provided her with five identical puppies. The clones represent the first ever commercial cloning in the world, and cost Ms McKinney a cool £25,000 (£5,000 per puppy). Two pit bull type dogs went on what police described as a ‘rampage’ on Monday when they roamed the streets of Cambridge. The two dogs apparently killed two cats and tried to attack teenagers. Armed police and angered residents went in search of the dogs in a witch hunt that ended with one of the dogs being run down by a car. The incident started at 7:20am and even sparked a police helicopter to search for the dogs. Both dogs were eventually caught.